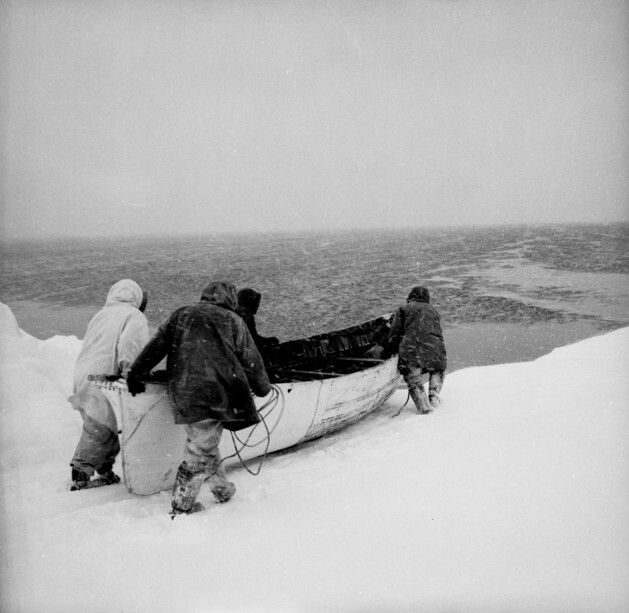 Pushing an umiak into the water. Gambell, circa 1958. Photo by Ward Wells, courtesy of the Anchorage Museum, B83.91.S1867.